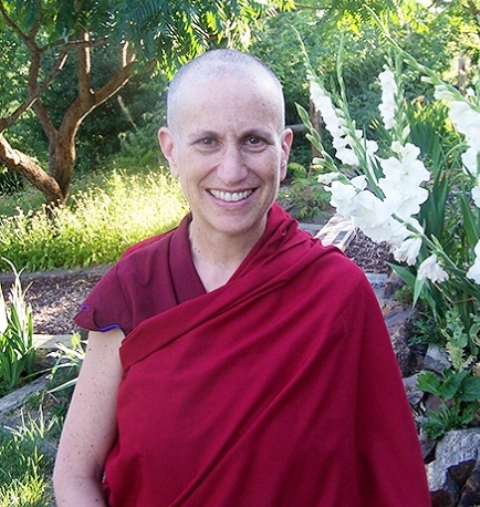 Venerable Thubten Chodron, an American nun in the Tibetan Buddhist tradition, will speak on “Who am I Really: Questioning Identities, Healing Prejudices” from 6:30 to 8 p.m. Tuesday, Oct. 11, in the Edminster Student Union Building Lake Coeur d’Alene Room on North Idaho College’s main campus. The presentation will explore how we define ourselves; are our labels who we really are? Do they help us better understand ourselves and others? Or, do our identities divide us? Ven. Chodron has practiced the Buddha’s teachings for more than 35 years. A student of His Holiness the Dalai Lama, she has published numerous books and is the founder and abbess of Sravasti Abbey, a Buddhist monastery near Newport, Wash. She teaches internationally and is well-known for her practical and humorous advice for bringing the Buddha’s wisdom into our daily lives. The event is sponsored by the NIC Diversity Steering Committee and Coeur d’Alene Dharma Friends. The presentation is being offered at no charge, but donations for the abbey are welcome. Attendees are asked to arrive a few minutes early. Information: Laura Templeman-Paxson at (208) 660-5477.